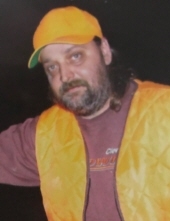 Charlie Dean Bryant, age 52 of Teaberry, Kentucky, passed away on Friday, March 22, 2019 at McDowell ARH, McDowell, Kentucky. He was born April 24, 1966 in Pikeville, Kentucky to Augustine Bentley Bryant of Teaberry, Kentucky and the late Milford Bryant. He was a retired coal miner. Along with his mother he is survived by his Sons: Matthew Charles (Tina) Bryant of Bevinsville, Kentucky & Cory Thomas Bryant of Drift, Kentucky; Brother & Sisters: Milford Bryant Jr. of Harold, Kentucky, Jackie Tackett of Honaker, Kentucky, Kathy Thomas of Harold, Kentucky & April Akers of Pikeville, Kentucky; Grandchild: Joseph Matthew Bryant; Girlfriend: Melody Hamilton. Along with his father he was preceded in death by his Son: Robert Wesley Bryant & Grandchild: Emily Nicole Bryant. He will be missed by all that knew and loved him. "Email Address" would like to share the life celebration of Charlie Dean Bryant. Click on the "link" to go to share a favorite memory or leave a condolence message for the family.